This is the first of many in a series about the top 5 places you need to visit when you go to a location. Mama Steph and I (Mama Jo) are both travelers and we have both been all over the country . . . and all over the world (although we both prefer Paris!). We are going to bring you the top 5 places we like about a certain location. Please keep in mind that neither of us is a travel agent or a professional chef, restaurant critic, etc. We also both have children and all of those factors influence our responses. These are just the top 5 places of MamaBreak. This week, we are focusing on Oahu. 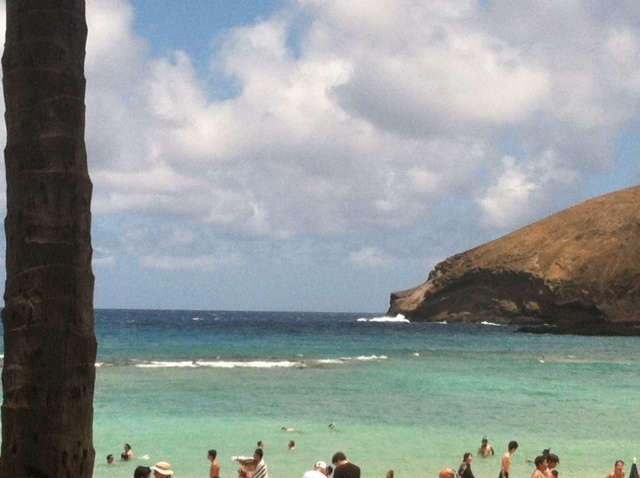 I chose Hanauma Bay because I have never experienced anything like it before. If you have never been snorkeling, this is the place for you. Live coral, thousands of fish, in a beautiful cove. It is simply beyond words amazing. We saw many, many schools of fish of different varieties. It makes it my #1 not to miss place! Tips: You can rent your snorkeling gear there, but purchasing your own is a good idea if you plan to go snorkeling again. You should sign up on the list after the video, because you will most likely WANT to go back! I could not get the hang of the flippers on my feet, so I took them off. If you have the same experience, make sure you have water shoes you can wear instead! If you are a surfer, this is your paradise! If you love food and fresh markets, this is YOUR paradise. Drive along the North Shore and stop at small stands where people are selling their fresh fruits, vegetables, and even shrimp! In my opinion, this is the BEST eating in Oahu! The view is also amazing, and you can find many public beaches that are not overrun with tourists. Tips: On your way to the North Shore, Take H2 through the island. Stop at the Dole Plantation, which is essentially a tourist trap, but is worth the stop for the BEST pineapple soft serve you will ever have! Also, bring plenty of cash to the North Shore, because many of the small stands only take cash. 3. Waimea Valley Audubon Center. This is like a little hidden gem of a location. It has a tropical rain forest feel, and features plants and flowers from all over the world. 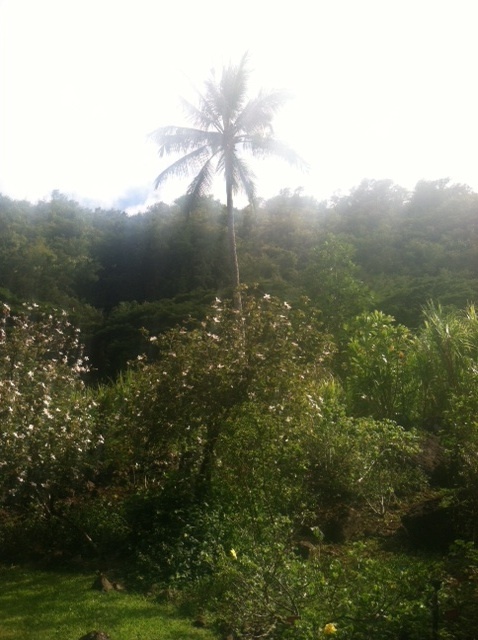 It also features local (Hawaiian) plants and flowers. They have learning areas where they showcase different Hawaiian culture, and many places set up for you to experience by yourself. 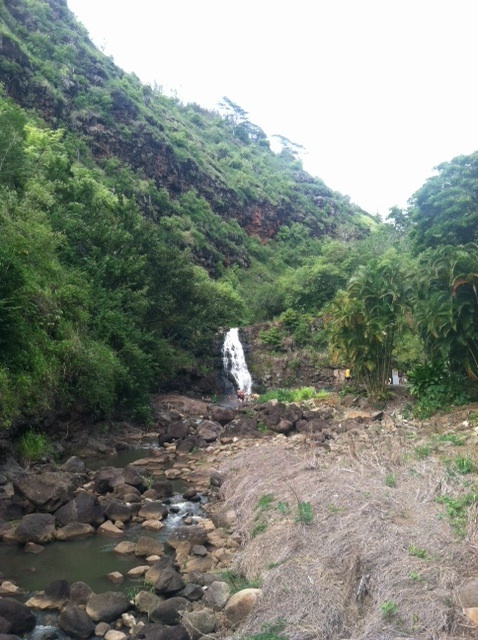 The best part is, at the end of the hike, is a beautiful waterfall that you can swim into. Tips: There are three things you should bring on this excursion. First, bug spray (you may need it). You will also want good walking shoes. The walk is not extreme, but you will be on your feet for a while. Last, but not least, wear a suit under your clothes so you can swim. You will most likely not need a towel because the natural warmth of the Hawaiian air will dry you off in no time! 4. Pearl Harbor. If you are on Oahu, this is one place you simply cannot miss. I am not a hisotry buff, and generally do not enjoy historical types of monuments. However, I was overwhelmed with emotion with just being there. 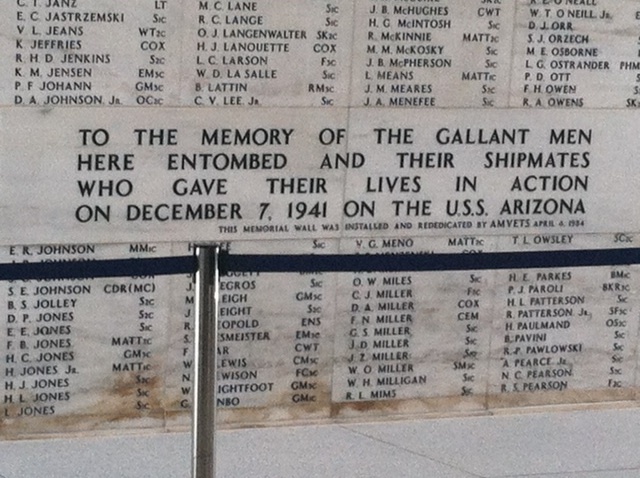 The Arizona Memorial is sutnning, the story is moving, and it is one place you will want to visit. 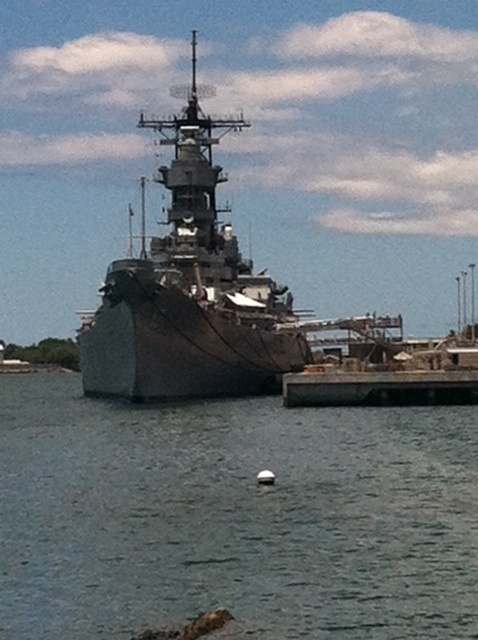 There are several places to visit at Pearl Harbor, but the U.S.S. Arizona is probably the most popular. 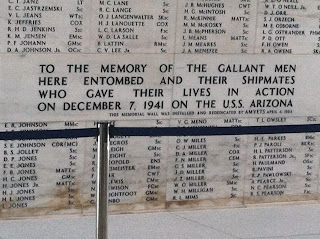 Tips: If you do visit, be aware that you need to go to Pearl Harbor and purchase your tickets for a time that day. It is best to go in the early morning to have your choice of times. They open at 8 a.m. every day. You cannot being purses, backpacks, or bags into the monument areas, so be prepared with pockets! 5. Aloha Stadium Swap Meet. Yep. I went to Oahu and visited the swap meet. It is hands down the best place for souvenirs. 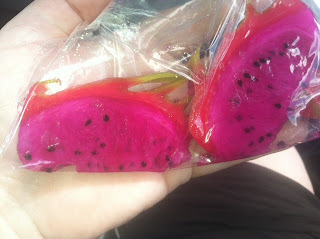 They have amazing local vendor food (think coconut with a straw in it), and they also feature a garage sale! Some items are hand-crafted with the artisans making them live on site. It is a neat experience, and a great way to bring Oahu home with you without breaking the bank! Tips: Walk around the entire swap meet first if you have the energy. That way you can see what is available before you purchase anything (and can find the best price). Bring WATER. You are going to be walking a lot and it will be hot! I also would bring an umbrella or parasol to stay out of the hot sun at least a little. There are a few honorable mentions for Oahu as well. We went to Diamondhead, but did not see the view because of my asthma (acted up, did not have my inhaler with). I have heard it is a must see. 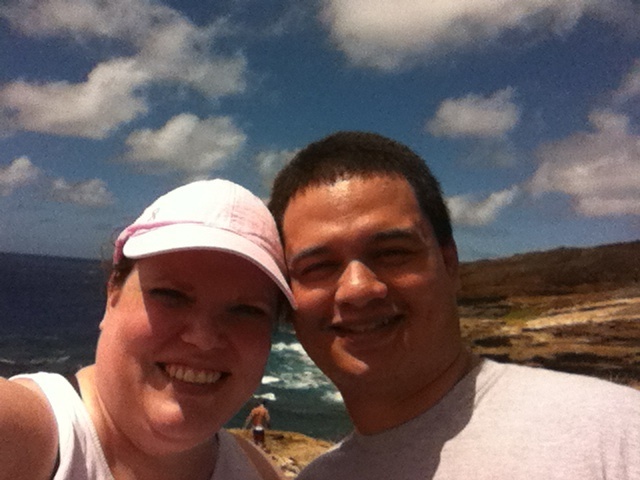 If you are in the physical shape to take a hike that is worth the walk, you MUST do Koko Head! 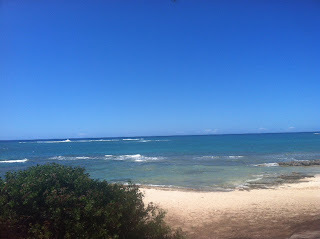 If you are a Lost fan, Mokuleia Beach is what you are looking for (and a MUST in my book!). Ka' Ena point is also supposed to be amazing! We went to the Paradise Cove Luau, and we feel this is also a MUST see! So, that is our Oahu list. This is based on our limited vacation time in Oahu, so your experiences in Oahu may be completely different! That is the wonderful thing about traveling! You can visit the same place again and again and always have a new adventure! Special thanks to our Hawaii family: Andrew, Caitlan, Holli, Joe, Collin, Chad, and Chelsea-- much love! I hope you are able to go! It is so beautiful! That looks so much better than Ohio. Haha. I want to go just to eat something at the North Shore. The food is so amazing! Beautiful pictures! Thank you for sharing I hope to go there some day! Oh wow! Those places are BEAUTIFUL! Looks like you had a lot of fun! Thanks for sharing! Those are some amazing pictures! Oahu looks lovely. My husband and I both want to go to Pearl Harbor. He is a huge WWII buff he reads, build models from then, movies shesh So this is a dream to go.